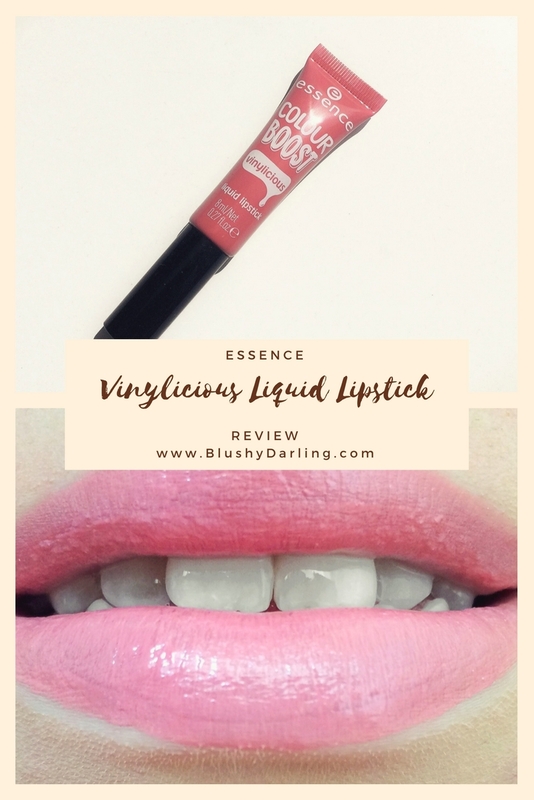 Today’s review is going to be of the Essence Colour Boost Vinylicious Liquid Lipstick, they are liquid lipstick in the sense that they feel like a melted lipstick but they don’t dry out. 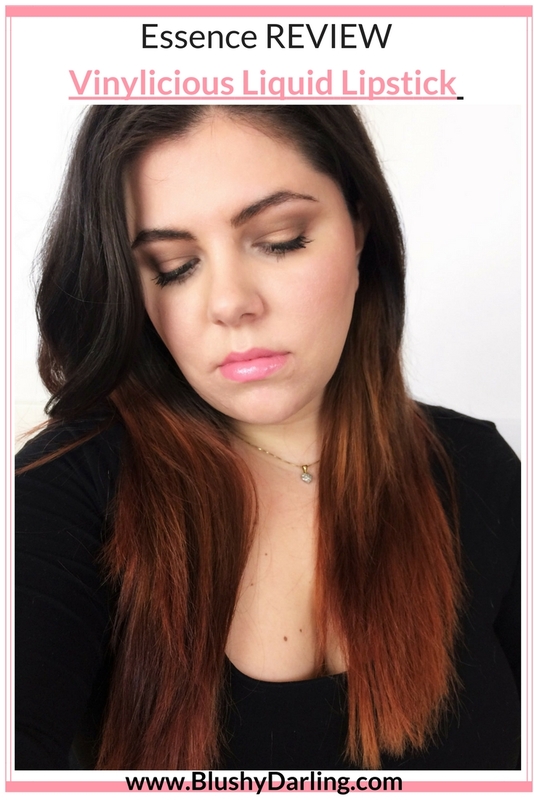 I’m usually a big fan of essence lipstick but this one was a bit of a disaster. 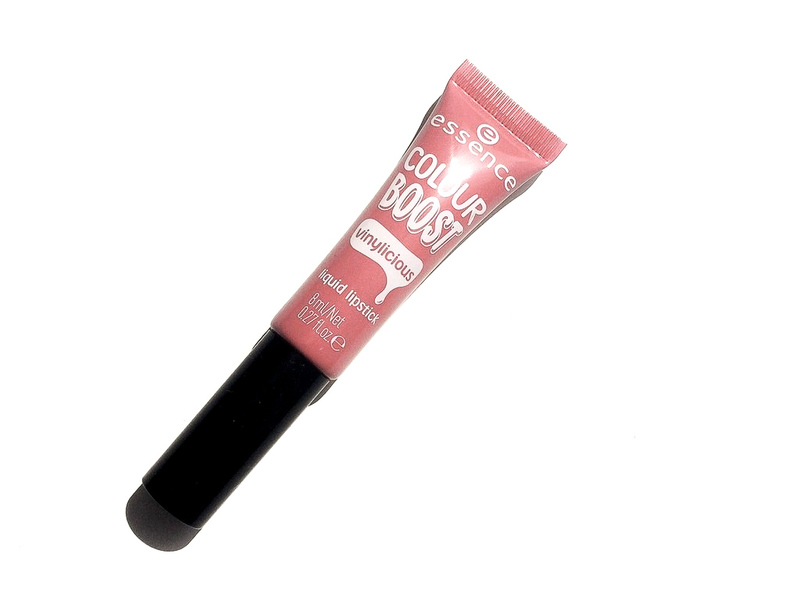 It’s basically a very thick and opaque gloss and they come in seven shades, I got the 03 Pink Interest. 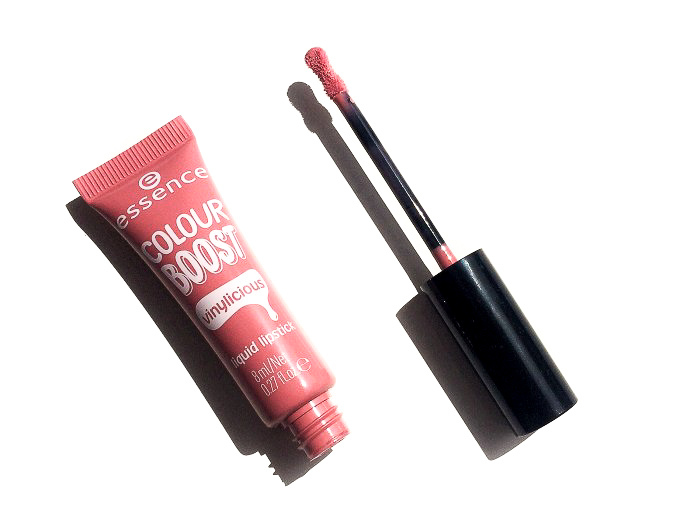 Despite the packaging being more of a dusty pink the shade inside is VERY PINK. You can get them here for 3,14$. The packaging is really nice, I like the squeezy tube and the hourglass doe foot is perfect to put the lipstick on. I feel like the shade on the outside it’s not really similar to the one on the inside, you’ll see, it’s way pinker. This product is IMPOSSIBLE to put on, the applicator although it’s nice, it makes the lipstick so STREAKY, you literally can’t make it even. On top of being incredibly streaky it’s also a really gloopy formula it feels like you are putting honey on the lips and as soon as you close your mouth it sinks into EVERY fine line on the lips. It also as the most horrible scent, it smells like melted plastic but with a hint of a sweeter scent, honestly, it smells like they were trying to cover the plastic scent with a chemical vanilla perfume. 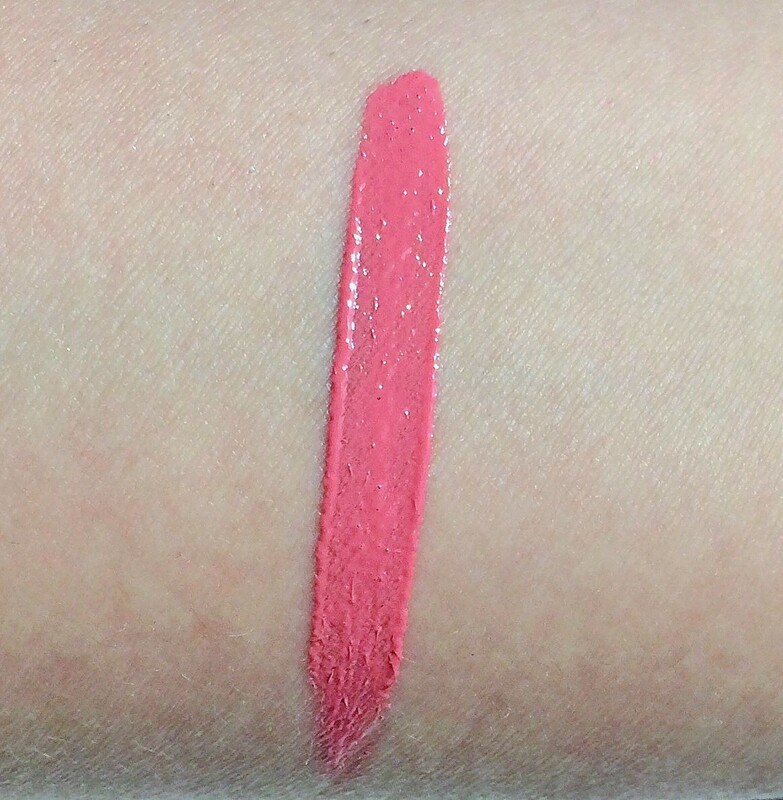 It doesn’t look bad from the distance and in the swatch but you can see in the close up how ugly and uneven it is. I’m not entirely sure how long it will last, I couldn’t keep it on because the scent was making me nauseous but since it’s super sticky and not transfer proof I would suppose it can last around 3 hours. I really don’t like this lipstick, it’s patchy, streaky and very uncomfortable. I like the packaging even if the outside colour tricked me. Maybe other shades are better but honestly, the scent is TERRIBLE that I’m not willing to recommend them. It definitely concerns me that it smells like melted plastic. Sadly this product is a strong pass in my book. Oh gosh, that texture doesn’t look too good! I’m also not a fan of liquid lipstick that feels too thick. Same! 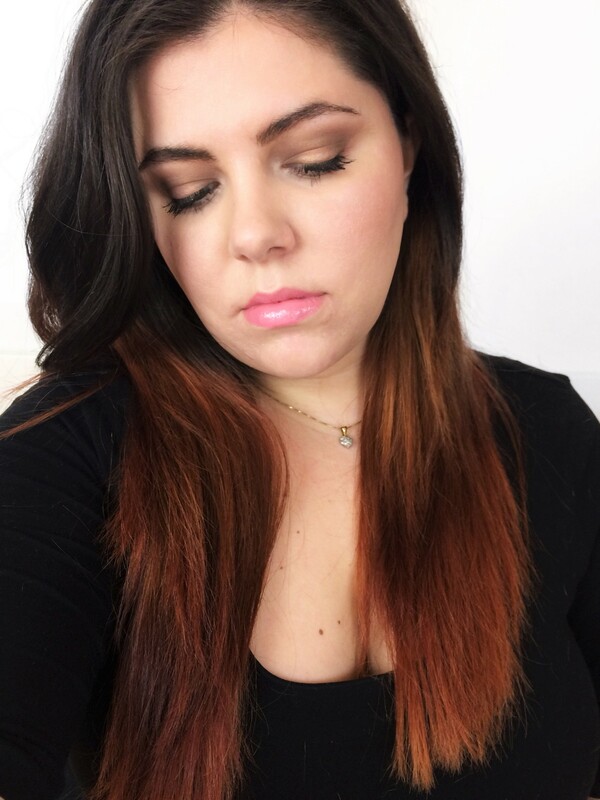 I recently got the Fenty Stunna lip paint and that feels like a feather! I love to see honest reviews. I am thankful to read your review before I purchased this liquid lipstick. Yikes! Thanks for the heads up! I’m sorry about your experience with the lipstick, especially the smell. Sounds horrible! For me personally, I don’t like the packaging. Has a “cheap” feel to it. Too bad this was a fail. I like the packaging too. But a nice package will only take you so far. I appreciate when bloggers actually give a negative review when deserved. I don’t wear much lip color but I do enjoy a fun gloss for special occasions. Will be avoiding this one! I actually really love the color on you! 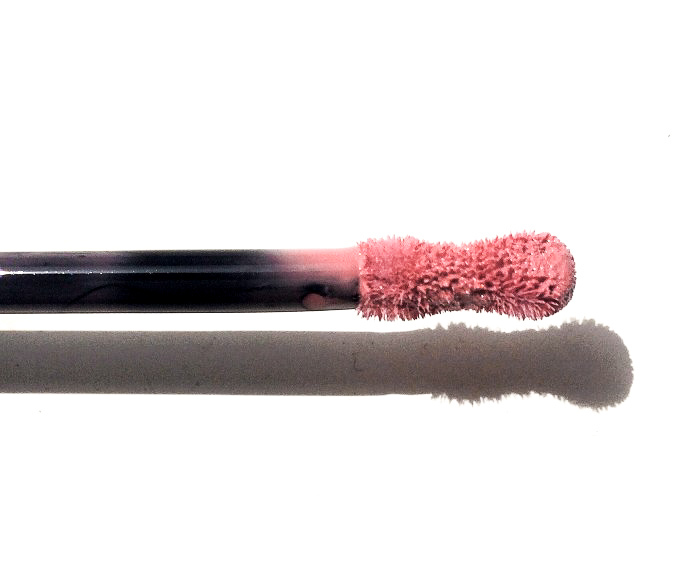 The shape of the applicator seems brilliant- I’m bummed it’s such a flop! I’ve never tried an applicator that’s shaped like that before! streaky lipstick is so frustrating 🙈 yikes!!! can’t stand when a product has that strong of a scent, thanks for the honest review! I don’t blame you at all! I wouldn’t want to put something that smelled like melted plastic on my lips! !